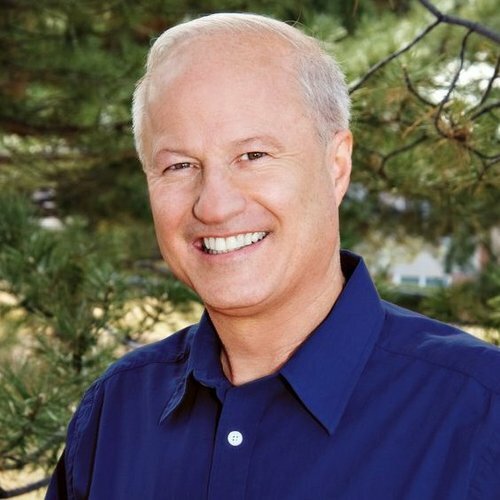 Michael Coffman has refused to provide voters with positions on key issues covered by the 2018 Political Courage Test, despite repeated requests from Vote Smart and voters like you. X a) Support increasing the amount individuals are permitted to contribute to federal campaigns. d) Increase the federal minimum wage. e) Strengthen fuel efficiency standards on all gasoline and diesel-powered engines, including cars, trucks, and sport utility vehicles. h) Support the use of ethanol as an alternative fuel. X i) Support research and development of nuclear reactors as an alternative energy source. k) Support international mandatory emission targets to limit global warming. In the short run we need to increase the supply of fossil fuels but in the long run we need to replace them with renewable energy resources. Greatly Decrease d) Restrictions on the purchase and possession of guns. d) Support expanding prescription drug coverage under Medicare. f) Support expanding child healthcare programs. The federal government must fix Medicaid and Medicare to avoid cost shifting to the rest of the health care system. g) Illegal immigrants should be given a pathway to citizenship. d) Should the United States support the Lebanese government against insurgent forces? Yes e) Should the United States maintain its troop levels in Iraq? No f) Should the United States withdraw its troops from Iraq? I'm opposed to a fixed timetable for troop withdrawals from Iraq. However, having served in Iraq with the U.S. Marines, I do believe that the process can be moved along faster than it currently is. Undecided k) Should the United States trade nuclear fuel to India for civilian purposes? Undecided l) Should the United States decrease financial support for Pakistan? Undecided m) Should the United States decrease military support for Pakistan? Undecided o) Should the United States be involved in bringing an end to the violence in the Democratic Republic of Congo? Undecided p) Should the United States provide economic and military support to the Transitional Government of Somalia? Undecided q) Should the United States use sanctions to encourage the government of Zimbabwe to end its human rights abuses? Undecided r) Should the United States support the creation of an independent nation of Kosovo? Support a more conservative American Foreign Policy that is less reliant on nation building as a principle tool for achieving America's foreign policy objectives. Undecided a) Do you support the United States imposing economic sanctions on China? Yes b) Do you support the United States imposing trade sanctions on Venezuela? Yes c) Do you support the United States involvement in free trade agreements? Undecided d) Should the federal government increase funding to states and cities for homeland security? Yes e) Do you support pre-emptive military strikes against countries deemed to be a threat to United States national security? Undecided f) Do you support the creation of a federal identification card system? Yes h) Should the United States expand its missile defense shield? No c) Do you support federal funding for research on existing embryonic stem cell lines? No d) Do you support federal funding to create lines of stem cells from new embryos? The system must recognize its commitment to seniors but must gradually move younger generations toward individual saving accounts. Public housing should not be an indefinite entitlement program but should be there to temporarily support those with the greatest needs.